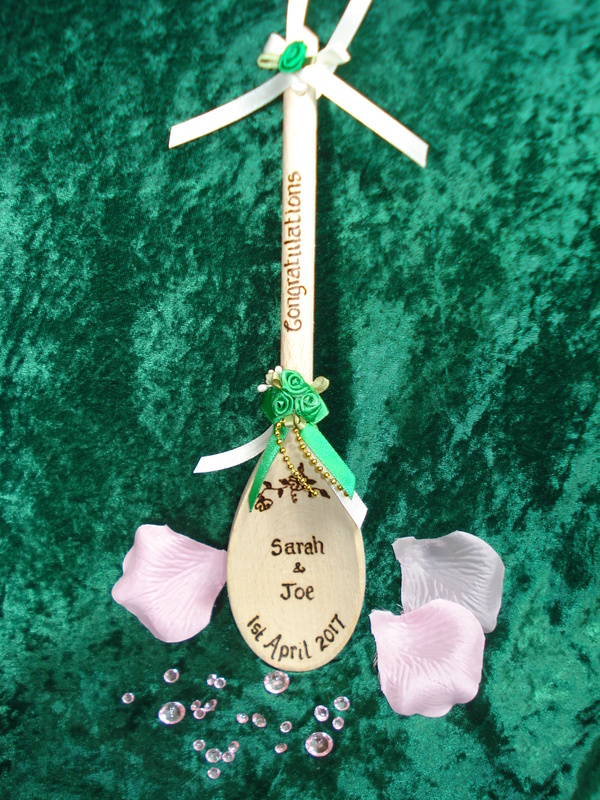 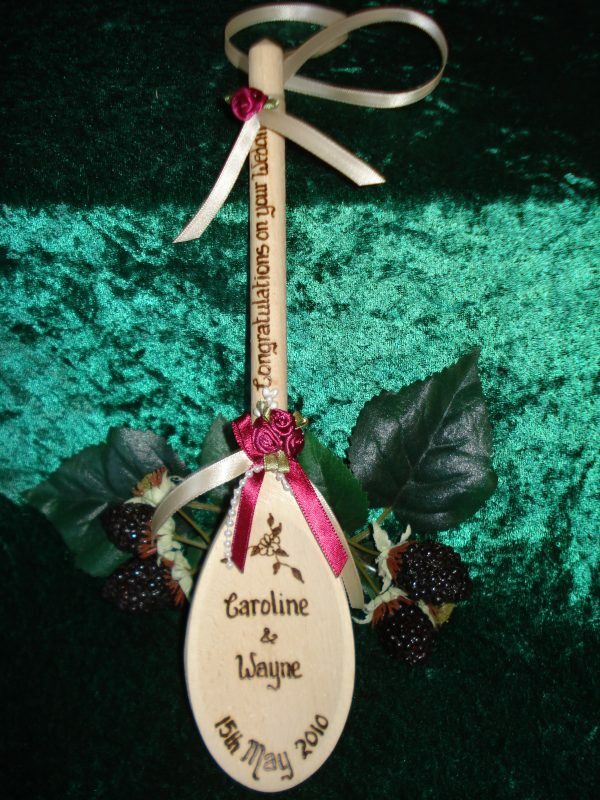 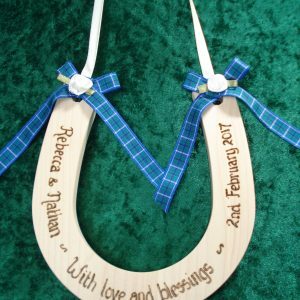 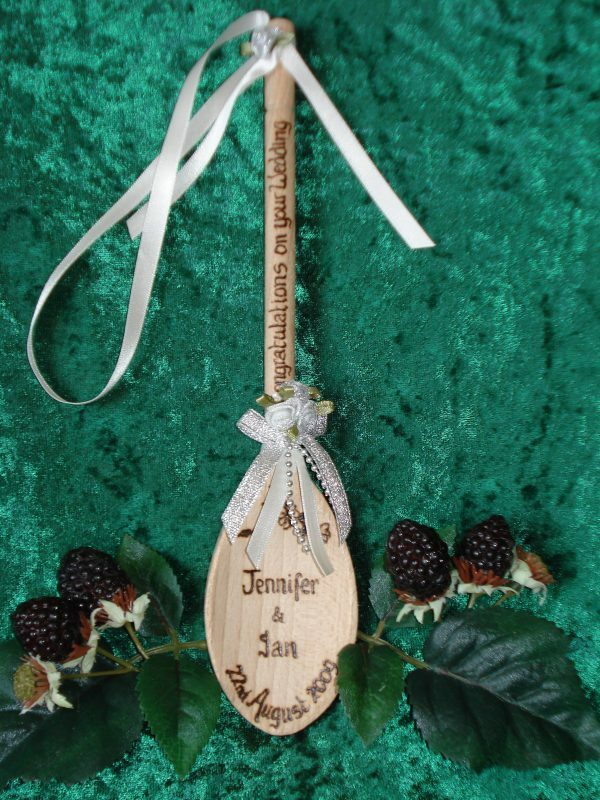 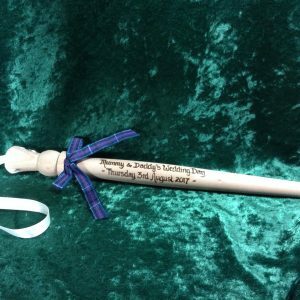 High quality beech Personalised Lucky Wedding Spoon. 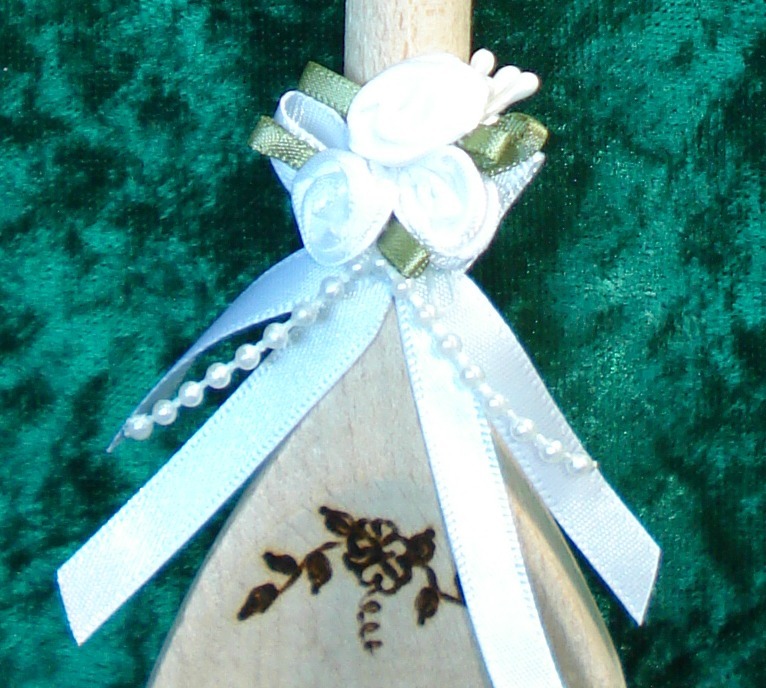 The spoon has double sided satin ribbon and satin ribbon triple rosebud embellishment in your choice of colour. 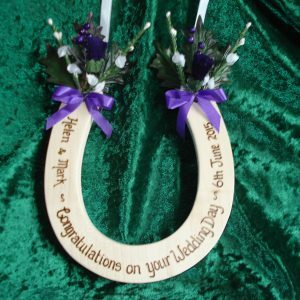 The carrying loop is available in white, cream or ivory. 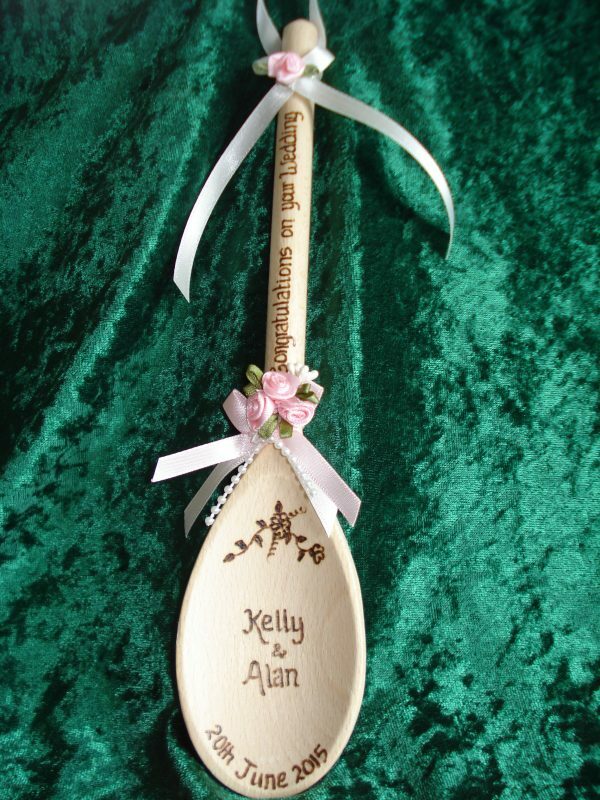 Each spoon measures approximately 10 inches. 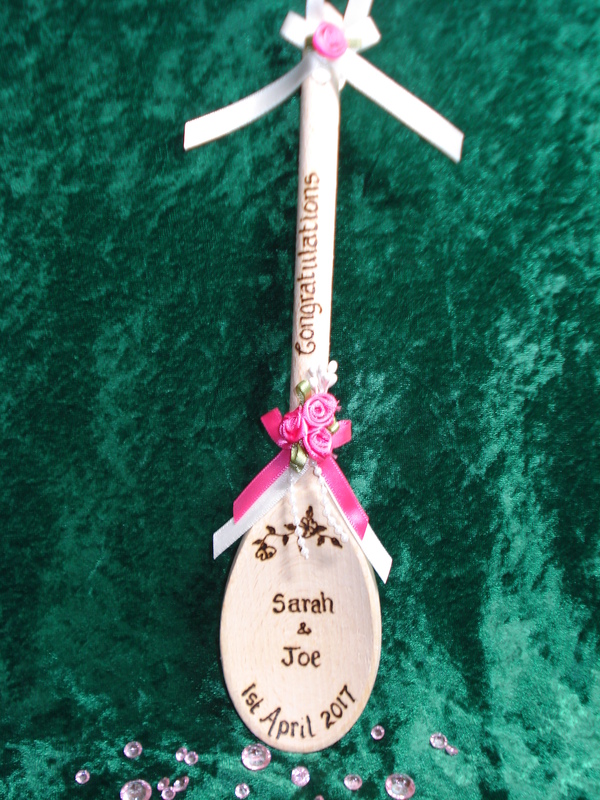 A short greeting is added to the handle and names and a date on the bowl of the spoon. 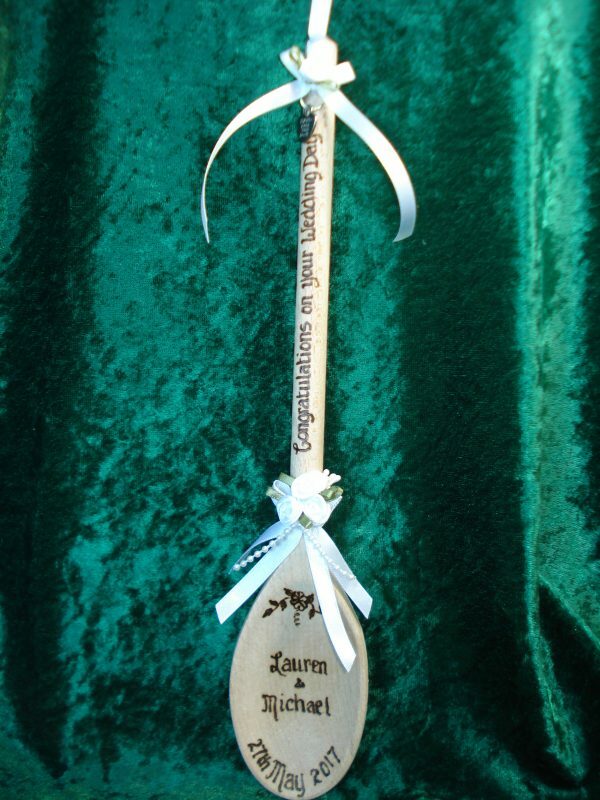 Finally a short greeting can be added on the reverse of the spoon.